Laser eye surgery is considered elective in nature and not vital to your health, so most insurance companies won’t cover its cost. In recent years many medical tourists from the US, Canada, the UK, Africa, and the Middle Eastern countries choose to go for LASIK eye surgery in Istanbul, Turkey in order to combine an enjoyable holiday and get their vision corrected without splashing out on the costs. Below is the video of a senior officer at a leading hospital in Turkey talking about LASIK surgery offered there. As per a study of 2198 LASIK patients conducted by the American Society of Cataract and Refractive Surgery (ASCRS), the results of which were published in the April 2009 issue of the journal Ophthalmology, an impressive 95.4% of the subjects reported high satisfaction rates. The study further states that nearly one million LASIK surgeries are performed annually in the United States. LASIK is an acronym for laser-assisted in-situ keratomileusis which reduces or completely eliminates the need for eyeglasses or corrective lenses. LASIK permanently reshapes the cornea – the dome-shaped transparent tissue at the front of your eye. As a result the eye obtains its natural focusing capacity and vision becomes clearer and sharper. Although the results depend on the individual’s condition, those contemplating Lasik laser eye surgery in Istanbul, Turkey will be glad to know that 8 out of 10 people do not need to use their contact lenses or glasses after this vision correcting procedure, according to statistics released by Mayo Clinic. Why Opt for LASIK in Istanbul, Turkey? LASIK eye surgery prices in Turkey are significantly lower than in the US, Canada, Romania, Bulgaria, Azerbaijan, the UK, other parts of West Europe and West Asia. Low prices are true for not only Lasik eye surgery in Istanbul. The patients can save up to 50% on all expenses related to glaucoma surgery, corneal transplantation, cataract surgery and presbyLASIK surgery in Istanbul, Turkey. Cost of Lasik eye surgery in Istanbul Turkey is lower due to lower cost of living and not because of the questionable quality of treatments. The leading eye clinics and hospitals in Turkey have state-of-the-art equipment and apply the latest technology in treating their patients. You can choose from a number of highly qualified and well-experienced LASIK eye surgery doctors in Istanbul, Turkey. Getting LASIK in Istanbul, Turkey doesn’t mean countenancing communication problems as the clinics that cater to medical tourists are staffed with English-speaking personnel. Medical Tourism Corporation has a leading JCI-accredited hospital under its network in which one can elect to undergo LASIK surgery in Istanbul, Turkey. 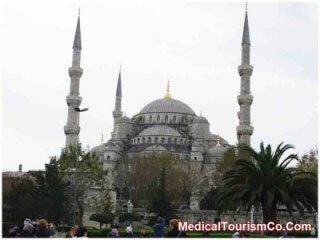 Since the cost of Lasik in Istanbul, Turkey is much lower, you can easily budget for a relaxing holiday. Getting eye surgeries such as LASIK, Laser, and corneal transplantation in Istanbul , Turkey gives offshore patients a chance to ingest the delightful sight and sounds of the city which prides itself in being a nucleus of culture and history. Sure, there are other alluring options to undergo LASIK abroad too. Eye surgery in India and Mexico are relatively easy on the pocket. However, if you happen to be from Europe or the Middle East, you will have to steel yourself for a long flight. Turkey, on the contrary, is strategically located at the confluence of Europe and Asia and is hence, a convenient medical tourism destination. What is included in the price of the package? Is the surgery price quoted for a single eye or both? What prescription medications (such as anti-inflammatories or painkillers) you might need before or after the procedure? Will you need to make follow-up visits in your home country after the LASIK surgery in Istanbul, Turkey? Turkey is a popular tourist destination with a lot to offer: vibrant, earthy street markets, the comfort of a massage at a Turkish hammam, scrumptious food, and plenty of history lessons. Research well before you go and decide what you want to see after you LASIK in Istanbul, Turkey. Spring and autumn are the best times to go to Istanbul, as the temperatures are pleasant and not too high. US and Canadian citizens are required to have a tourist visa in order to enter Turkey, which can be obtained at the point of entry. It will always be handy to learn a few Turkish phrases. If that seems a tad daunting, you can carry a Turkish-English dictionary with you when out on the streets. Advanced economy, developed infrastructures, and the exotic allure of the country as well as cost-saving opportunities are the factors strengthening medical tourism in Turkey. Choosing the LASIK eye surgery in Istanbul, Turkey you can appreciate the benefits of health tourism at their best: have a high-quality medical procedure and enjoy a sunny holiday without breaking the bank. 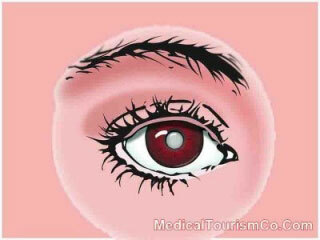 Medical Tourism Corporation facilitates eye surgeries in leading hospitals in Turkey. Request a quote using the form on your right for more information.